What is a perfect home sale? 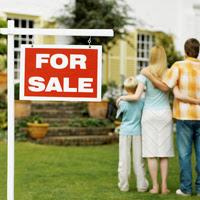 During a perfect home sale, your house will be on and off the market so fast there won’t even be time to put up a sign. In a perfect home sale, your property will sell for a lot more than you expected it to and you might even be able to choose the price that you want. You could make so much money from your property that you’ll be able to afford to move to a far grander home. Or, you might be able to buy your next property without a mortgage. This is the perfect sale and it sounds like a dream doesn’t it? But it’s a dream that is obtainable if you take the right steps when selling your home. It’s amazing how many people try to sell a home when it needs repair work. There are two problems with doing this. The first is that you will be trying to sell a home as a fixer upper. This means that potential buyers will easily be able to force you to sell at the floor, well below the original asking price. As well as this there’s a good possibility your home won’t be valued at a price as high as it should. When this happens an estate agent won’t even bother trying to get a better sale. You might be wondering about what type of damage we’re talking about in these scenarios. It could be anything from exterior structural damage to smaller problems with doors and cupboards. The good news is that these type of building repairs are easy to arrange and you can get a low cost service to complete them. Once you do this, your home will be in a far better position to gain the perfect sale. A USP is a unique selling point and if you want your home to sell at the right price your house needs one. This might be something that already exists. For instance, a gorgeous stretch of land near your home where children play could be a USP. Or it might be something that you create and shape yourself. This might be some work that you have completed on the house yourself, such as a sunbathing deck in the backyard. Or, a gorgeous built in glass fire place in the lounge. In some cases, homeowners have been known to throw in attractive extras. For instance, if you have a large amount of land you might want to include a rideable petrol mower you used for the home in the asking price. Once you pinpoint your home’s USP you’ll be able to advertise it and that’s how you get a great sale. Our last tip is to think about what estate agent you should use. When you sell a home a lot of the responsibility of getting a good sale will fall on the shoulders of an estate agent. This just means you have to pick the right company. One of the best ways to do this is to check out unsponsored reviews online and ask around. If an estate agent has done good work in the past in your area, they might be the perfect hire. Follow these tips and you just might get the perfect sale on your home.